Edwardian Youth: Dance Music and a Dagger.....is an article written by well known former Edwardian Teddy Boy, Paul Culshaw which charts the history of the Teddy Boy style from its origins in the Edwardian revival in the late 1940’s through to its adoption by working class youth in the early 1950’s, who took ownership and made the style their own. Around 1949 Saville Row tailors released a line in Edwardian suits to celebrate the end of clothes rationing. This style was at first only picked up by gay men and off duty guard's officers. A velvet collar or brocade waist-coat would bring an off-duty guards officer bang up to date. Many magazines from this time show adverts for Edwardian style suits and such which continued into the Fifties. Boy-gangsters were making the news in the early Fifties, along with Cosh-Boys. A cosh was a small leather truncheon type weapon and to be 'Coshed' was to be mugged. Boy gangsters had been spreading terror across London since way back in Victorian times. The boy-gangsters in the years preceding 1953 had worn the American style Zoot suit or some wide-boy style facsimile. 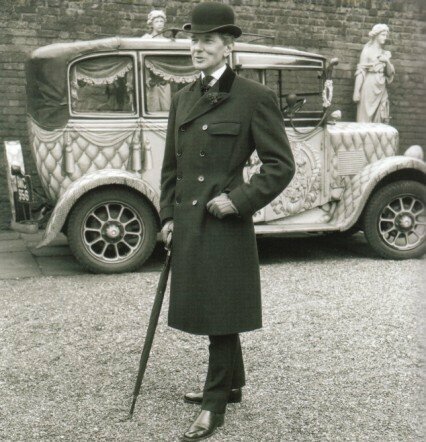 But come 1953, boy-gangsters in the Elephant & Castle area of London adopted the Edwardian suit. On July 2nd 1953 a single act of terror and repulsion propelled the Edwardian-dressed youths onto the front pages of every newspaper in Britain. A murder on Clapham Common carried out by teenagers dressed in Edwardian finery. 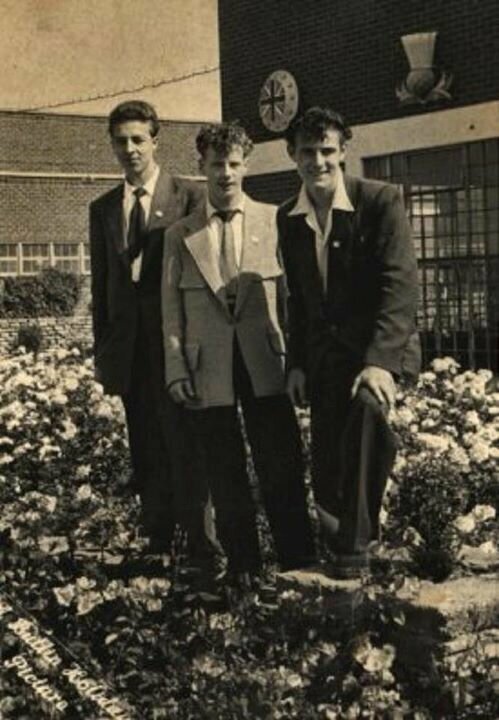 A youth, John Beckley, was dragged from the back of a double decker bus and stabbed and kicked to death by, they had a name now, Teddy-Boys. There was outrage and horror from the media at these violent Teddy-Boy hooligans. The phrase Teddy-Boy was said to have been used by girls when talking about their Neo-Edwardian boyfriends. 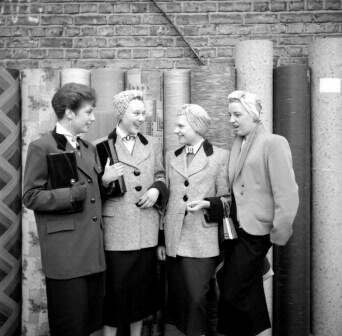 These girls, the Teddy girls, started their journey in style in London town too. The fact that magazines called them delinquents didn't bother them, they were too gripped by the need to stand out and not to be grownups. A Teddy girl would have left school at 14 or 15 and found work in a factory or an office but quickly discovered the boredom of normality and realised that normal living was not for her. So, like their male counterparts, the Teddy girls wanted to stand out as different and wearing a velvet collared suit with a Victorian cameo brooch, a coolie hat with a clutch bag and a Perspex handled umbrella sure as hell made them stand out. Rolled up jeans were also worn with a neck scarf and flat shoes, this style embraced American fashions too but it always reverted back to its English heritage. A very precise and detailed description of the threads worn builds up a picture of these Edwardian dressed dandies. 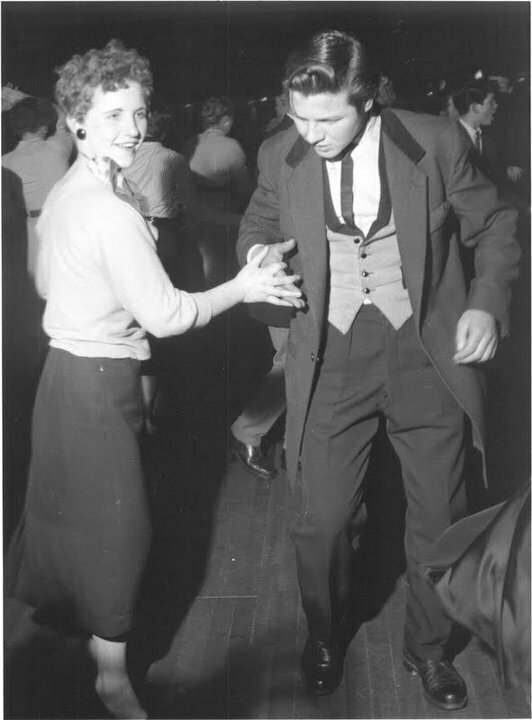 The jacket itself could be knuckle, finger tip or knee length, and the early Neo-Edwardian suit was tailored in sober colours - the colour scheme for these youths was black and white. A crisp white shirt was worn with a jacket in shades of grey, navy blue or maybe dogtooth check. The word Drape itself was used by Americans when talking about the Zoot suit, referring to it as a set of drapes. The deformed box or coffin cut of the Neo-Edwardian jacket was American in idea and dated back to the Zoot suit with its huge sloping shoulders. The back of the jacket was box cut with no seam or vents, it could have a 2 inch turn-up around the cuffs of the sleeves and flap, ticket or jetted pockets, but not velvet. It would have one link, two, three or four buttons which could be bone but not velvet. Velvet might just be around the top of the collar or maybe no velvet at all, but remember, although the basic suit was drab, the tie and waistcoat made up for that. The Maverick, cravat, boot lace tie, a loosely tied bow tie or - slightly later - a Slim Jim Tie were all worn. It depended on your area, the year and what your mates wore as to what ted gear you would choose. Here we shall refer to the tightly knotted tie, which was a throwback again to America and the Jive style. This tie would be worn along with a loudly flashy silk brocade waistcoat - or weskit- and a fob watch with a chain linked through the 'weskit'. This altogether made these boys who wanted to stay out of the gaze of the law, leap straight into the view of the police. All trousers were higher fitting but the Edwardians wore the tighter drainpipe style of 'strides'. For footwear the choice was Oxford, brogue, crepe soled suede chukka shoes or boots or the thicker crepe of Brothel Creepers. The hair was American in style maybe piled into a pompadour, an elephant trunk quiff, a silver dollar or a crew cut. An early Edwardian might have had the sides and back of his hair tapered up high but a greasy, messy quiff with sideburns finished off with a Ducks Arse thickly greased down the back of the head became the most popular as time went by.